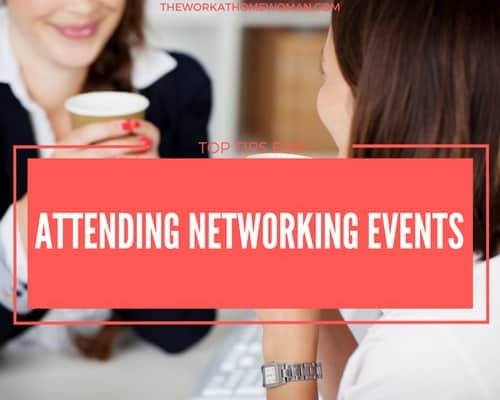 When you're looking for ways to grow your business or further your career, in-person networking usually ranks as a top strategy. I know, online networking and social media is all the rage right now, but when you meet people in person you accelerate the process of building relationships. If you're ready to take your career or business to the next level, here are 20 networking tips to make the process of networking a little less intimidating. 1. Get in the right state of mind. Be positive, listen, learn and see how you can help others. Don’t be pushy or abrupt. This is your chance to make a good first impression. Be cognizant of your bodying positioning. Stand tall, smile and relax. Avoid slouching, crossing your arms, yawning, or keeping your head down; these actions signal that you’re closed, defensive, bored or insecure. Before attending any event, check to see what the appropriate dress code is. Most events will require or expect you to be dressed in business casual. Ladies, remember not too much perfume, makeup, or jewelry – this could be distracting. Depending on the length and format of the event you will want to create a game plan ahead of time. Choose which speakers you would like to see and write down any questions you may want to ask. If you’re searching for a new job, make a plan to pass out a certain number of resumes. Or if you’re looking to make new connections, make a goal to pass out a certain number of business cards. The majority of the time it’s not what you say, but how others perceive you. Actively listen, look interested, make eye contact, positively respond and avoid distractions. By listening to what others have to say, you can find ways to help them and build relationships, which in the end will help you. If you’re feeling nervous, try approaching smaller groups or individuals that you feel comfortable with (women, mothers, younger vs. older, etc.). By approaching individuals that seem less intimidating, you will help to increase your confidence before approaching others who you may feel are more intimidating. 7. How to handle rejection. Even with the best intentions, rejection sometimes rears its ugly head. Don’t let this get you down and ruin your whole day. Remain upbeat and focus on the positive and welcoming people that you encounter. As tempting as it may be to retaliate or vent your frustrations about the encounter to others, remember not to burn any bridges. You never know when your paths will cross again, and a new opportunity will present itself. Networking events give you the heebie-jeebies? Try bringing a friend to help boost your confidence. Once you feel at ease, try breaking off and networking alone. Beware of getting caught up in just talking to each other; the goal is to meet new people and cultivate new relationships. 9. Prepare your elevator pitch. Is it to find new leads? Is it to meet like-minded individuals? Is it to connect with hiring companies? Once you have your goals figured out, take the time to create a short spiel (elevator pitch) on who you are and what you do. Once you have your spiel, practice it over and over until you're comfortable saying it out loud. By preparing ahead of time, you can answer questions with ease and you'll exude an air of confidence. 10. Come with the right tools. Remember to bring the right tools: business cards, resume, notepad, pen, and references. By supplying the people with these tools they can easily contact you and remember who you are. Don’t think you can afford business cards? You can, many sites offer free business cards if you let them put their logo on the back of the card. However, I wouldn’t recommend the free option unless you’re really strapped for cash. Basic business cards cost as little as $20.00 for 500. Small talk, how do you do it? Look for things you have in common. This makes the conversation easier and less tense. Keep the conversation rolling by asking open-ended questions – “What do you think of working from home”? Whether you’re searching for a job or looking to make new connections, make sure to follow up the next day. This can be done through a phone call, email or personal note sent through the mail. This will make a lasting impression! This enables you to scout out the room and starting interacting with people early. Arrive late and you may find yourself struggling to meet new people because they are already engaged in conversation. Also, it is not favorable to walk in late when someone is speaking – and people will remember you as the person who arrived late. 14. Wear a name tag. As dorky as they seem, they serve a good purpose. It’s much easier for people to remember your name and your company when you’re wearing a name tag. Most events will have a table when you walk in where you can get one, do so! If you don’t have one it is more than likely that you’ll be forgotten – then what was the point? 15. To drink or not to drink? Some networking events will include alcoholic beverages, and having a drink can help to loosen you up, but never have more than one or two drinks and remember to sip the drink slowly. You don’t want to become overbearing, loud or obnoxious – remember this is a professional event where you want to be taken seriously. Stand out from the crowd by being creative. You can do this in a number of ways, but here are a few ideas: instead of handing out business cards, hand out pens, magnets or calendars with your business and contact info on them. Hand out free samples of your products or coupons for discounts. Sponsor a giveaway; the ways in which you can stand out are endless. 17. Make connections before the event. Some events will publish a list of attendees before the event, feel free to email a few people and state that you look forward to meeting them in person. This will make walking into the event much easier, having a few known people off hand to start talking to. No published list of attendees? Get on Twitter, LinkedIn or Facebook and search for others attending the event. Remember to bring a pen and after meeting someone write a few key notes on the back of their business card to help you remember them. 19. Know when to move on. Has the conversation come to a lull? Don’t let an awkward silence take over the moment when the conversation feels like it is over, politely say “It’s been nice meeting you.” and move on. Remember networking is supposed to be fun; just remember you are there to make and establish new relationships – you’re not trying to make a hard sale. 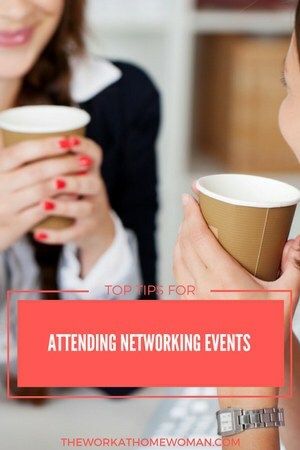 Do you have a tip for attending a networking event or career fair? This is a really insightful article that added some great new tips to the list of best practice standards. That makes it a great read for both beginners at networking events, as well as for “veterans” who want to increase the take-home value of the events they visit. I especially like the part of #4 where you suggest preparing questions for the speakers you really want to talk to. That will certainly help people avoid having their mind go blank once they finally get a chance for a face-to-face with someone they respect and want to connect with. .-= Trina E. Roach´s last blog ..Communicating What You Want =-. Hi Trina, thanks for your thoughtful comment! Tip number 4 can be very important; I’ve been at events and seen people ask questions that were not well articulated and were then asked to rephrase the question only to be stumped. Doing just a little homework before the event can help you to look more polished, professional and perhaps as an expert in your field. Thanks for this excellent article and I will definitely have to send this on to others who could learn a few things about networking events. Take care and God bless.